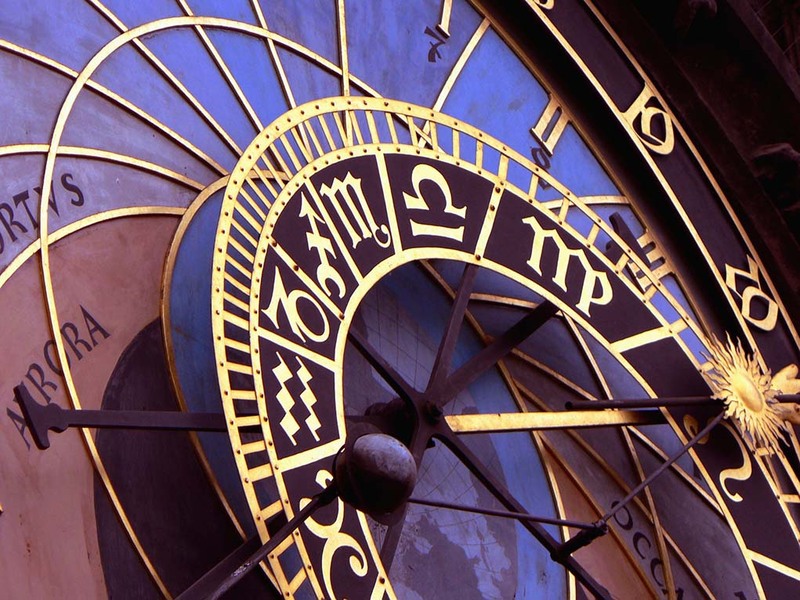 For All Signs: Planets which are 150 degrees apart on the zodiac circle are known as “inconjunct” to astrologers. This is a challenging aspect which suggests circumstances that are on hold. Waiting, adjustments, or tradeoffs are mandated. Inability to directly pursue or finish a project is featured. Sometimes the aspect represents being trapped in some type of bind and unable to find a good solution. If we make the expected choice in a situation then we know we’ll be angry about it. If we choose otherwise we will feel “guilty” for not doing what we “should.” This week there are multiple inconjunctions, involving seven signs. If you experience this energy, do the best you can to seek out a win-win answer, one that will not leave you feeling angry or guilty. The positive purpose of these aspects is to bring the ideal more into line with the realistic and practicable. If this goal is not possible under the present structure, then what is possible? Look outside the box for the unexpected solution. Aries: See the lead paragraph. You may be trying to accomplish something related to property. The rules or the laws are getting in the way. Perhaps there is a piece or a part that is at a distance and you must wait for its arrival. Maybe you can be creative and search for another way around the objective. Taurus: Yesterday your ruling planet, Venus, entered the second house of income and self-worth. She will remain there until the end of July. Your concerns about finances will feel lightened. Debts owed to you may be paid. Meanwhile others will let you know how much you are appreciated. Gemini: Venus entered your sign yesterday and will be traveling “with you” through the end of July. Her presence gives you an air of poise and people will simply like how you look. She is a people attractor. Often when Venus is prominent we become more interested in art forms and other things of beauty. Cancer: (June 20 – July 21) Your plans and ideas may be challenged by another at this time. You must have clarity about who you have become In order to hold your own in this situation. Do your best to generate a win-win situation out of the duel, and avoid a frank battle of wills. Each of you has a truth. A larger perspective will house both. Leo the Lion: Use care not to make promises for which you can’t deliver. Someone who seems powerful in your life may be asking you to perform some task that is beyond realistic. Maybe it is you. Don’t let yourself get trapped into a high stress situation. It could be hard on your health. Virgo: Negative attitudes or habit patterns of thought may be your undoing this week. Reach beyond them for a meditative place that gives answers to serious questions and encouragement from your source. Avoid signing contracts at this time because it is possible your thinking is skewed. Libra: Use special care with your body this week. You might overdo. Think carefully before you respond to the requests of others. Their needs may be beyond your abilities. Be especially cautious if the request is prefaced by flattering remarks about your talents. Scorpio: Old issues may surface in any relationship. This time frame is an exercise in truth telling and open discussions of what you know. If you sense that someone, whether you or the other, is not forthright, do your best to create an environment of trust. Give attention to noises or signs that your vehicle is not operating well. Sagittarius: Please read the lead paragraph because it applies to you in spades this week. Forward motion is halted in a variety of directions. You need more resources (i.e. time, money, energy) to accomplish your aim and at this time those resources are scarce. Consider whether there is a creative way to move forward if you think outside the box. Capricorn: The Capricorn Goat is so focused on his or her direction that he sometimes becomes overbearing and pushy to others. Now is a time in which partners or other significant people are not cooperating. They may be fatigued with your constant management and delegation of projects. Ease off if you want to maintain these relationships. Aquarius: Beware the liar. The probability is high you will encounter one this week, someone who believes his own story, thus making it unclear if (s)he is telling the truth. Check out the sources and ask other people who may know something about the situation. Don’t accept anything of importance at face value. Pisces: It is possible that you are not feeling well this week. You may be subject to allergy symptoms that keep you subdued. Your self-talk is likely to be on the dark side and mainly due to your fears for the future. The Inner Critic is not necessarily in touch with the whole truth, even though it feels real enough when it rattles on in your head.